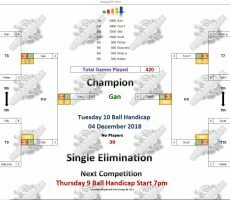 TUESDAY 10 BALL – 4th DECEMBER : GAN WINS. 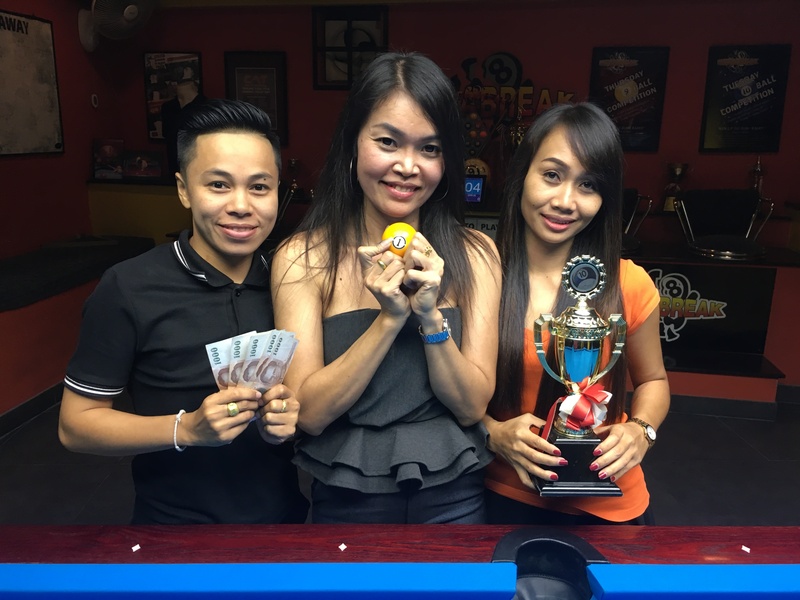 A victory for the girls on Tuesday night, with Megabreak staff member Gan Kanchana Chinboot becoming our 10 Ball Champion for this week. 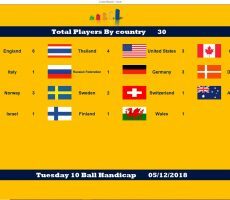 From a great turnout of 30 players from 15 different countries, she played well all night long to be undefeated through six straight matches and pocket the 1st Prize of 5000 baht. In the final she beat Tom Fossum from Norway in the deciding rack (race 7-4) to seal victory and complete an impressive performance on the evening. 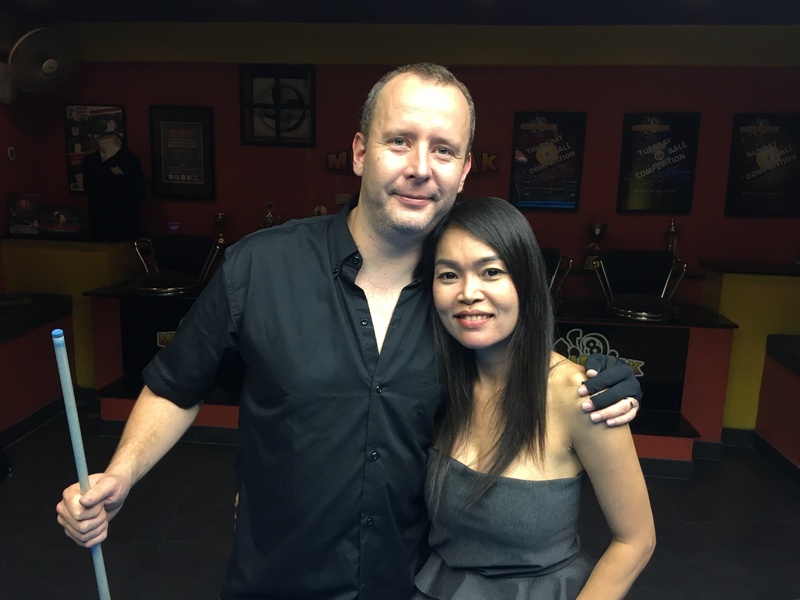 Tom continued his recent run of excellent play to reach another final, before losing out by the tightest of margins, and took home 3000 baht as Runner-Up. 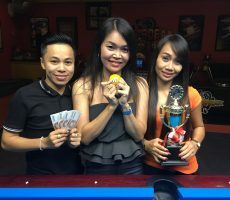 Champion : Gan (A+4) – 5000 baht. 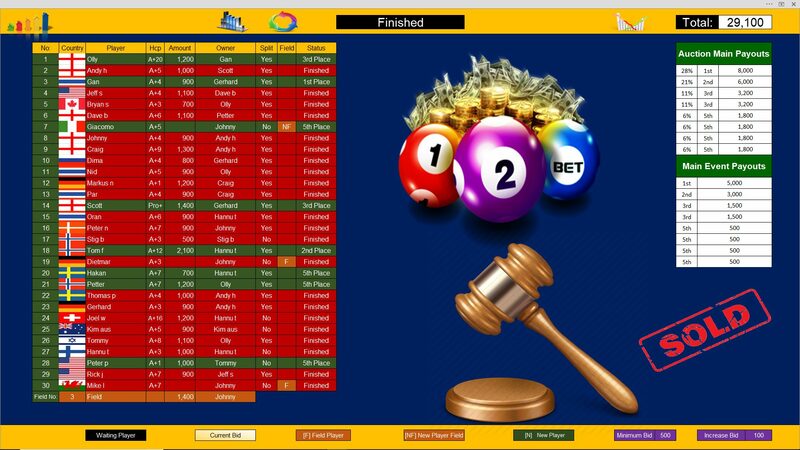 Runner-Up : Tom (A+12) – 3000 baht. 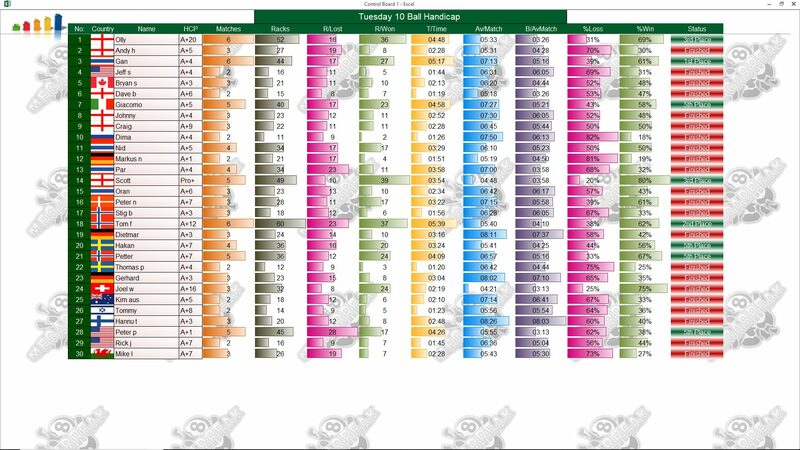 Semi-finals : Me (Pro+) and Olly Downey (A+20) – 1500 baht each. 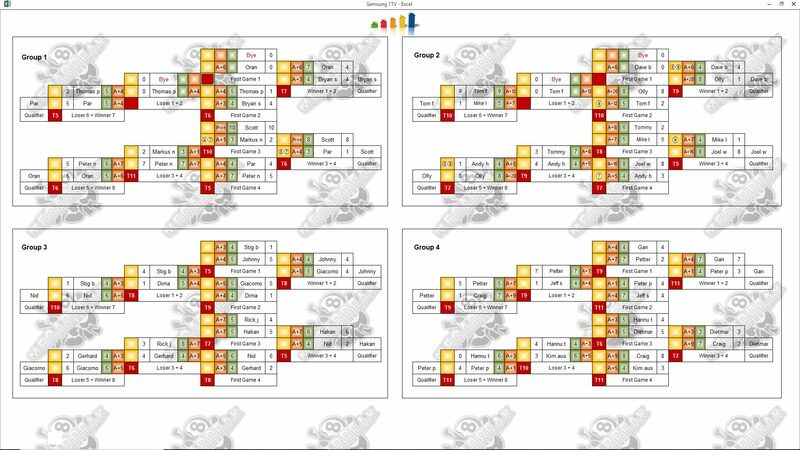 Quarter-finals : Håkan Ekberg (A+7), Petter Jespers (A+7), Giacomo (A+5) and Peter Pellack (A+1) – 500 baht each. 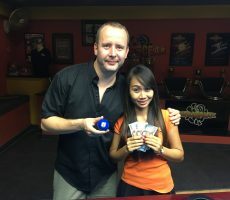 The Player Auction Prize Pot totalled 29100 baht, and was won by Gerhard Schebler. 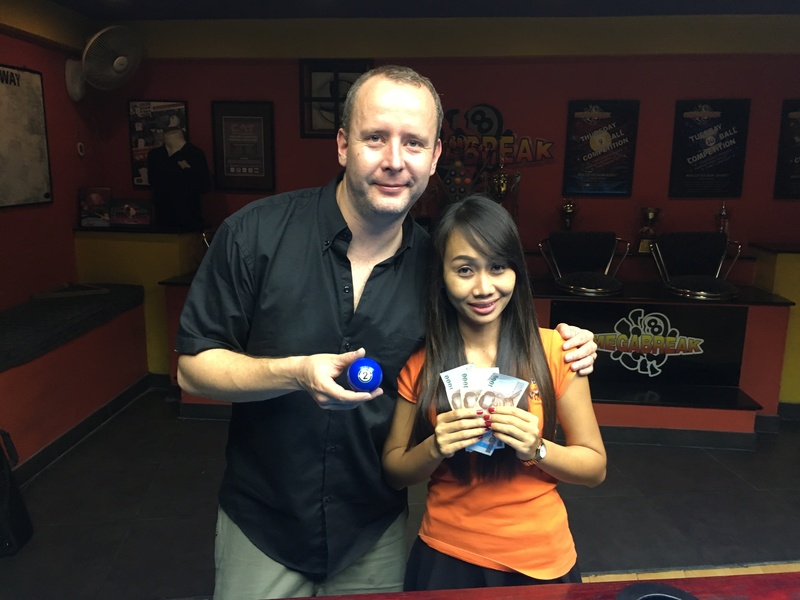 He paid 900 baht for our winner, and they shared the 1st Payout of 8000. 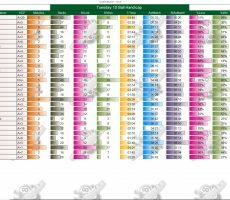 1st : Gerhard (Gan) – 8000 baht. 2nd : Hannu (Tom) – 6000 baht. 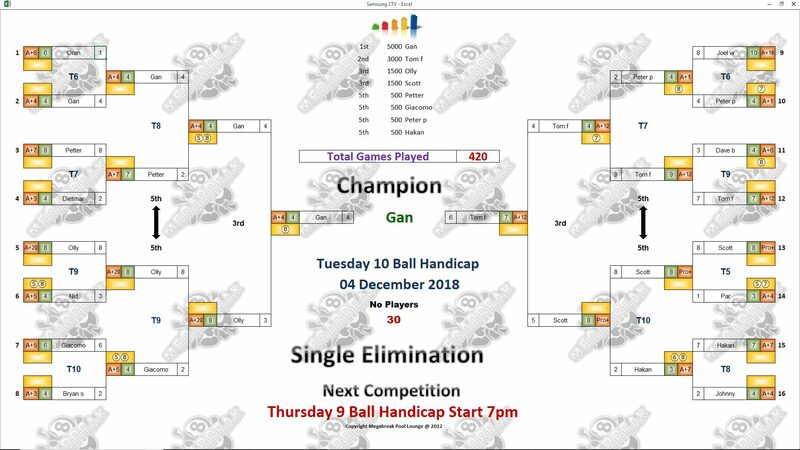 Equal 3rd : Gerhard (Me) and Gan (Olly) – 3200 baht each. 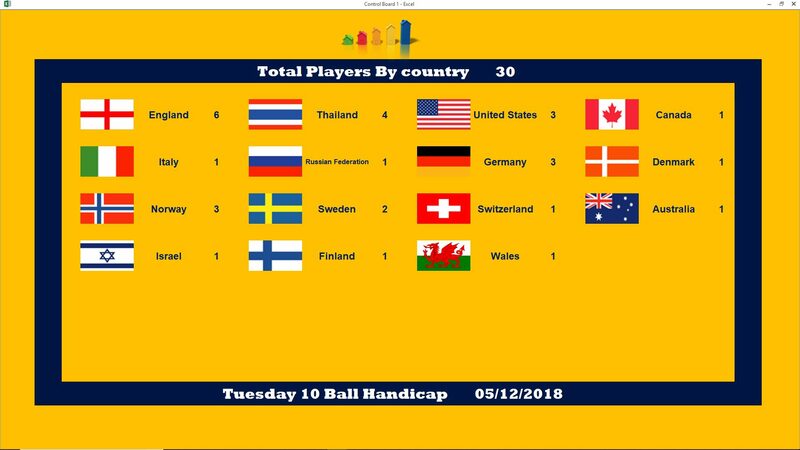 Equal 5th : Hannu (Hakan), Olly (Petter), Johnny (Giacomo) and Tommy (Peter P) – 1800 baht each.